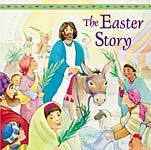 View cart “A Child’s Garden of Bible Stories” has been added to your cart. Today’s classic version offers sixty Old and New Testament Bible stories in updated language. Read to your children the timeless biblical accounts of God’s faithfulness, grace, and mercy as He interacts with His people.